Dr. David Bukay teaches in the School of Political Science at the University of Haifa. Among his fields of specialization are: bin Laden and the Islamic terrorism; the Arab-Islamic political culture; international terrorism in an era of uncertainty; the Arab-Israeli conflict; inter-Arab relations and the Palestinian question; theoretical issues and political applications in the Middle East; Asad’s foreign policy towards Israel and Lebanon. If you want to understand radical Islam, read this book!” Find out why “dhimmitude” is important to understanding the war on terror. Learn who the key leaders are among Moslem radicals. Muhammad’s Monsters analyzes the threats posed by weapons systems being developed in radical regimes and explains why unstable Middle East regimes continue to be propped-up since 9/11. The rush to learn about Islam has been a common goal for a broad spectrum of Americans – from politicians, to clergy, to soccer moms. Indeed, a lack of knowledge of this religion has publishers scrambling for titles. 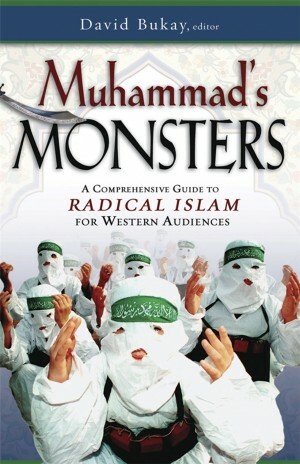 Mohammed’s Monsters represents that rare project – scholarly in tone, yet highly readable – that sets it apart.